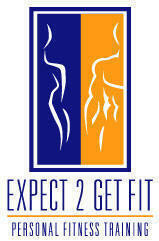 Personal Trainer Service Areas South Beach, Bal Harbour, Miami Beach, FL and Downtown Miami Beach. I am a Female In Home Personal Trainer in Miami Beach FL, South Beach areas. I have been training for over 18 years and Certified by the National Academy of Sports Medicine with a degree from Florida State University. As a Florida Personal Trainer I am dedicated to listening to my clients needs and helping them achieve their goals. As a Fitness Specialist I develop uniquely tailored regime of exercises based on your goals such as: Weight Loss, Strength Gains, Core Conditioning, Functional Training, Flexibility, or Sport Specific. I am very committed and passionate about helping my clients achieve their fitness goals and enjoying the experience along the way! I am experienced in working with all types of people from adults, athletes, young adults, teens, and people recovering from surgeries. As your Personal Trainer I will educate you about living a healthier life and give you the tools to make it a permanent life style. Training is not just about lifting weights to be stronger and have a good definition, it’s also about being good to your body with proper nutrition, exercising, having a strong core with the ability to function properly in your day to day activities. Now it is your time! Expect to get fit and enjoy all the benefits that come along with it! You will have more energy and feel better about yourself in a short amount of time. You can also view my Health and Fitness articles by clicking here.